This article includes a helpful overview of several prominent contemporary 'anti-semitic' authors. "The notorious Jewish tendency to shamelessly lie or wildly exaggerate has sometimes had horrifying human consequences." "If the most extreme “anti-Semitic canards” were probably true, then surely the whole notion of anti-Semitism warrants a careful re-examination." All of us obtain our knowledge of the world by two different channels. Some things we discover from our own personal experiences and the direct evidence of our senses, but most information comes to us via external sources such as books and the media, and a crisis may develop when we discover that these two pathways are in sharp conflict. Now consider the notion of “anti-Semitism.” Google searches for that word and its close variants reveal over 24 million hits, and over the years I’m sure I’ve seen that term tens of thousands of times in my books and newspapers, and heard it endlessly reported in my electronic media and entertainment. But thinking it over, I’m not sure that I can ever recall a single real-life instance I’ve personally encountered, nor have I heard of almost any such cases from my friends or acquaintances. Indeed, the only persons I’ve ever come across making such claims were individuals who bore unmistakable signs of serious psychological imbalance. When the daily newspapers are brimming with lurid tales of hideous demons walking among us and attacking people on every street corner, but you yourself have never actually seen one, you may gradually grow suspicious. Indeed, over the years some of my own research has uncovered a sharp contrast between image and reality. As recently as the late 1990s, leading mainstream media outlets such as The New York Times were still denouncing a top Ivy League school such as Princeton for the supposed anti-Semitism of its college admissions policy, but a few years ago when I carefully investigated that issue in quantitative terms for my lengthy Meritocracy analysis I was very surprised to reach a polar-opposite conclusion. According to the best available evidence, white Gentiles were over 90% less likely to be enrolled at Harvard and the other Ivies than were Jews of similar academic performance, a truly remarkable finding. If the situation had been reversed and Jews were 90% less likely to be found at Harvard than seemed warranted by their test scores, surely that fact would be endlessly cited as the absolute smoking-gun proof of horrendous anti-Semitism in present-day America. It has also become apparent that a considerable fraction of what passes for “anti-Semitism” these days seems to stretch that term beyond all recognition. A few weeks ago an unknown 28-year-old Democratic Socialist named Alexandria Ocasio-Cortez scored a stunning upset primary victory over a top House Democrat in New York City, and naturally received a blizzard of media coverage as a result. However, when it came out that she had denounced the Israeli government for its recent massacre of over 140 unarmed Palestinian protesters in Gaza, cries of “anti-Semite” soon appeared, and according to Google there are now over 180,000 such hits combining her name and that harsh accusatory term. Similarly, just a few days ago the New York Times ran a major story reporting that all of Britain’s Jewish newspapers had issued an “unprecedented” denunciation of Jeremy Corbyn’s Labour Party, describing it as an “existential threat” to the Jewish community for the anti-Semitism it was fostering; but this apparently amounted to nothing more than its willingness to sharply criticize the Israeli government for its long mistreatment of the Palestinians. One plausible explanation of the strange contrast between media coverage and reality might be that anti-Semitism once did loom very large in real life, but dissipated many decades ago, while the organizations and activists focused on detecting and combating that pernicious problem have remained in place, generating public attention based on smaller and smaller issues, with the zealous Jewish activists of the Anti-Defamation League (ADL) representing a perfect example of this situation. 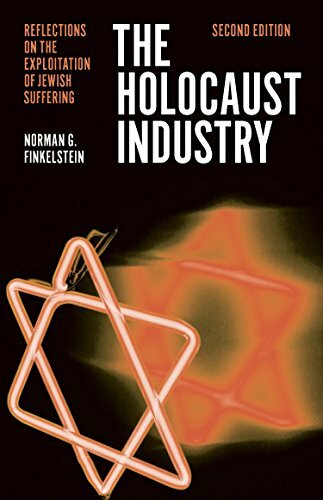 As an even more striking illustration, the Second World War ended over seventy years ago, but what historian Norman Finkelstein has so aptly labeled “the Holocaust Industry” has grown ever larger and more entrenched in our academic and media worlds so that scarcely a day passes without one or more articles relating to that topic appearing in my major morning newspapers. Given this situation, a serious exploration of the true nature of anti-Semitism should probably avoid the mere media phantoms of today and focus on the past, when the condition might still have been widespread in daily life. 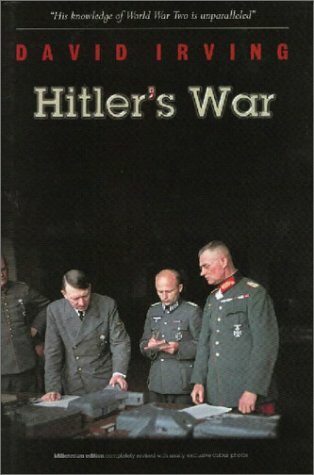 Many observers have pointed to the aftermath of the Second World War as marking a huge watershed in the public acceptability of anti-Semitism both in America and Europe, so perhaps a proper appraisal of that cultural phenomenon should focus on the years before that global conflict. However, the overwhelming role of Jews in the Bolshevik Revolution and other bloody Communist seizures of power quite naturally made them objects of considerable fear and hatred throughout the inter-war years, so the safest course might be to push that boundary back a little further and confine our attention to the period prior to the outbreak of the First World War. The pogroms in Czarist Russia, the Dreyfus Affair in France, and the lynching of Leo Frank in the American South come to mind as some of the most famous examples from that period. However, he does note some of the underlying social context to this fierce political battle. Although only one Frenchman in a thousand was Jewish, just a few years earlier a group of Jews had been the leading culprits behind several huge financial scandals that impoverished large numbers of small investors, and the swindlers afterward escaped any punishment by means of political influence and bribery. Given this history, much of the outrage of the anti-Dreyfusards probably arose from their fears that a Jewish military spy from a very wealthy family might be able to walk free using similar tactics, and the public claims that Dreyfus’s brother was offering enormous bribes to win his brother’s release certainly strengthened this concern. Although Lindemann regards Frank as probably innocent, my own reading of the evidence he presents suggests the overwhelming likelihood of his guilt. Meanwhile, it seems undeniable that the outpouring of popular anger against Frank was produced by the vast ocean of outside Jewish money—at least $15 million or more in present-day dollars—that was committed to the legal efforts to save the life of someone widely regarded as a brutal murderer. There are strong suggestions that far more improper means were also employed, including bribery and influence-peddling, so that after Frank was convicted by a jury of his peers and thirteen separate legal appeals were denied, a governor with strong personal ties to the defense lawyers and Jewish interests chose to spare Frank’s life a few months before leaving office. Under these circumstances, the lynch-mob that hung Frank was viewed by the community as merely enforcing his official death sentence by extra-judicial means. 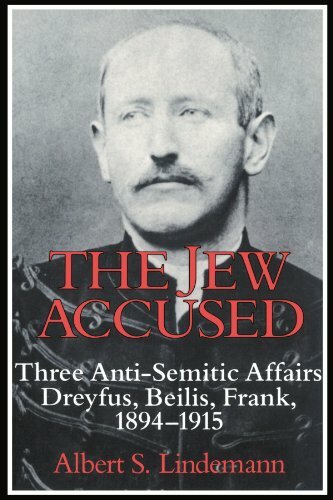 The unmistakable conclusion of Lindemann’s analysis is that if the defendants in both the Dreyfus and Frank cases had not been Jewish, they would have suffered identical arrests and convictions, but lacking any wealthy and politically mobilized Jewish community to rally around them, they would have received their punishments, just or unjust, and immediately been forgotten. Instead, Theodor Herzl, the founding father of Zionism, later claimed that the massive anti-Semitism revealed by the Dreyfus Affair was the basis of his personal ideological awakening, while the Frank Affair led to the establishment of America’s Anti-Defamation League. And both these cases have entered our history books as among the most notorious examples of pre-World War I anti-Semitism. Lindemann’s discussion of the often difficult relations between Russia’s restive Jewish minority and its huge Slavic majority is also quite interesting, and he provides numerous instances in which major incidents, supposedly demonstrating the enormously strong appeal of vicious anti-Semitism, were quite different than has been suggested by the legend. The famous Kishinev Pogrom of 1903 was obviously the result of severe ethnic tension in that city, but contrary to the regular accusations of later writers, there seems absolutely no evidence of high-level government involvement, and the widespread claims of 700 dead that so horrified the entire world were grossly exaggerated, with only 45 killed in the urban rioting. Chaim Weizmann, the future president of Israel, later promoted the story that he himself and some other brave Jewish souls had personally defended their people with revolvers in hand even as they saw the mutilated bodies of 80 Jewish victims. This account was totally fictional since Weizmann happened to have been be hundreds of miles away when the riots occurred. For related reasons, international outrage was often focused on the legal confinement of most of Russia’s Jews to the “Pale of Settlement,” suggesting some sort of tight imprisonment; but that area was the traditional home of the Jewish population and encompassed a landmass almost as large as France and Spain combined. The growing impoverishment of Eastern European Jews during that era was often assumed to be a consequence of hostile government policy, but the obvious explanation was extraordinary Jewish fecundity, which far outstripped that of their Slavic fellow countrymen, and quickly led them to outgrow the available spots in any of their traditional “middleman” occupations, a situation worsened by their total disinclination to engage in agriculture or other primary-producer activities. Jewish communities expressed horror at the risk of losing their sons to the Czarist military draft, but this was simply the flip-side of the full Russian citizenship they had been granted, and no different from what was faced by their non-Jewish neighbors. Certainly the Jews of Russia suffered greatly from widespread riots and mob attacks in the generation prior to World War I, and these did sometimes have substantial government encouragement, especially in the aftermath of the very heavy Jewish role in the 1905 Revolution. But we should keep in mind that a Jewish plotter had been implicated in the killing of Czar Alexander II, and Jewish assassins had also struck down several top Russian ministers and numerous other government officials. If the last decade or two had seen American Muslims assassinate a sitting U.S. President, various leading Cabinet members, and a host of our other elected and appointed officials, surely the position of Muslims in this country would have become a very uncomfortable one. Lindemann also allocates a short chapter to discussing the 1911 Beilis Affair, in which a Ukrainian Jew was accused of the ritual murder of a young Gentile boy, an incident that generated a great deal of international attention and controversy. Based on the evidence presented, the defendant seems likely to have been innocent, although the obvious lies he repeatedly told police interrogators hardly helped foster that impression, and “the system worked” in that he was ultimately found innocent by the jurors at his trial. 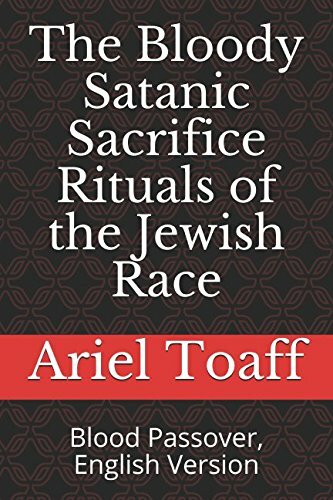 However, a few pages are also given to a much less well-known ritual murder case in late 19th century Hungary, in which the evidence of Jewish guilt seemed far stronger, though the author hardly accepted the possible reality of such an outlandish crime. Such reticence was quite understandable since the publication of Ariel Toaff’s remarkable volume on the subject was still a dozen years in the future. Furthermore, some of the material presented in Lindemann’s rather innocuous text might also lead to potentially threatening ideas. Consider, for example, the notorious Protocols of the Learned Elders of Zion, almost certainly fictional, but hugely popular and influential during the years following World War I and the Bolshevik Revolution. The fall of so many longstanding Gentile dynasties and their replacement by new regimes such as Soviet Russia and Weimar Germany, which were heavily dominated by their tiny Jewish minorities, quite naturally fed suspicions of a worldwide Jewish plot, as did the widely discussed role of Jewish international bankers in producing those political outcomes. Over the decades, there has been much speculation about the possible inspiration for the Protocols, but although Lindemann makes absolutely no reference to that document, he does provide a very intriguing possible candidate. Jewish-born British Prime Minister Benjamin Disraeli certainly ranked as one of the most influential figures of the late 19th century, and in his novel Coningsby, he has the character representing Lord Lionel Rothschild boast about the existence of a vast and secret network of powerful international Jews, who stand near the head of almost every major nation, quietly controlling their governments from behind the scenes. If one of the world’s most politically well-connected Jews eagerly promoted such notions, was Henry Ford really so unreasonable in doing the same? Lindemann also notes Disraeli’s focus on the extreme importance of race and racial origins, a central aspect of traditional Jewish religious doctrine. He reasonably suggests that this must surely have had a huge influence upon the rise of those political ideas, given that Disraeli’s public profile and stature were so much greater than the mere writers or activists whom our history books usually place at center stage. In fact, Houston Stewart Chamberlain, a leading racial theorist, actually cited Disraeli as a key source for his ideas. Jewish intellectuals such as Max Nordau and Cesare Lombroso are already widely recognized as leading figures in the rise of the racial science of that era, but Disraeli’s under-appreciated role may have actually been far greater. The deep Jewish roots of European racialist movements are hardly something that many present-day Jews would want widely known. 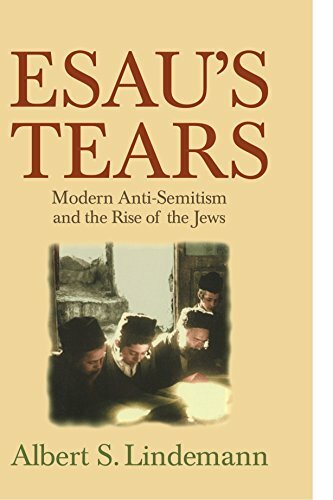 One of the harsh Jewish critics of Esau’s Tearsdenounced Cambridge University Press for even allowing the book to appear in print, and although that major work is easily available in English, there are numerous other cases where an important but discordant version of historical reality has been successfully blocked from publication. For decades most Americans would have ranked Nobel Laureate Alexander Solzhenitsyn as among the world’s greatest literary figures, and his Gulag Archipelago alone sold over 10 million copies. 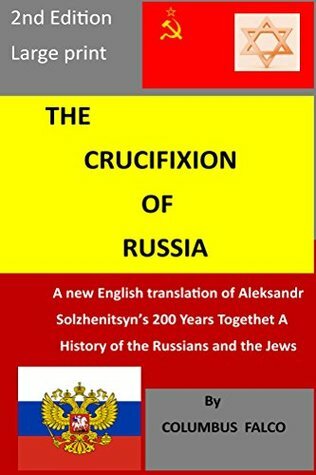 But his last work was a massive two-volume account of the tragic 200 years of shared history between Russians and Jews, and despite its 2002 release in Russian and numerous other world languages, there has yet to be an authorized English translation, though various partial editions have circulated on the Internet in samizdat form. At one point, a full English version was briefly available for sale at Amazon.com and I purchased it. Glancing through a few sections, the work seemed quite even-handed and innocuous to me, but it seemed to provide a far more detailed and uncensored account than anything else previously available, which obviously was the problem. The Bolshevik Revolution resulted in the deaths of many tens of millions of people worldwide, and the overwhelming Jewish role in its leadership would become more difficult to erase from historical memory if Solzhenitsyn’s work were easily available. Also, his candid discussion of the economic and political behavior of Russian Jewry in pre-revolutionary times directly conflicted with the hagiography widely promoted by Hollywood and the popular media. 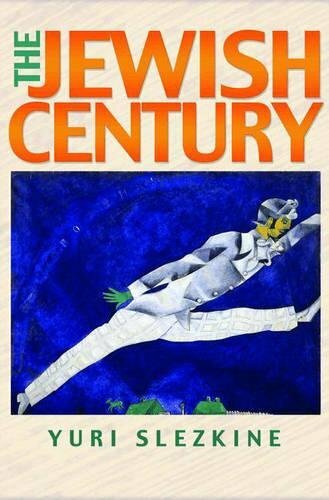 Historian Yuri Slezkine’s award-winning 2004 book The Jewish Century provided many similar facts, but his treatment was far more cursory and his public stature not remotely the same. Near the end of his life, Solzhenitsyn gave his political blessing to Russian President Vladimir Putin, and Russia’s leaders honored him upon his death, while his Gulagvolumes are now enshrined as mandatory reading in the standard high school curriculum of today’s overwhelmingly Christian Russia. But even as his star rose again in his own homeland, it seems to have sharply fallen in our own country, and his trajectory may eventually relegate him to nearly un-person status. 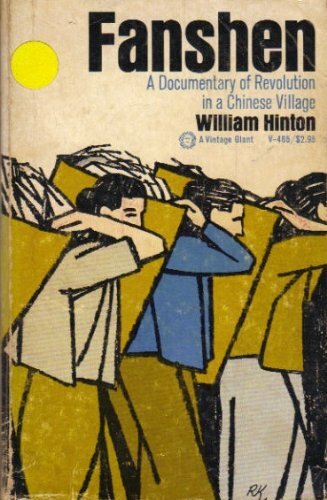 A couple of years after the release of Solzhenitsyn’s controversial final book, an American writer named Anne Applebaum published a thick history bearing the same title Gulag, and her work received enormously favorable media coverage and won her a Pulitzer Prize; I have even heard claims that her book has been steadily replacing that earlier Gulag on many college reading lists. But although Jews constituted a huge fraction of the top leadership of the Soviet Gulag system during its early decades, as well as that of the dreaded NKVD which supplied the inmates, nearly her entire focus on her own ethnic group during Soviet times is that of victims rather than victimizers. And by a remarkable irony of fate, she shares a last name with one of the top Bolshevik leaders, Hirsch Apfelbaum, who concealed his own ethnic identity by calling himself Grigory Zinoviev. All of these cases were the sort of high-profile examples which are well-known to anyone who pays attention to such matters. But surely there must have been many other incidents, involving far less prominent authors, which never received any significant media coverage, and also a vastly larger universe of cases in which writers have self-censored their texts in order to avoid such controversies. Over the decades, I have gradually discovered through sad experience that I must exercise extreme caution whenever I read anything relating to the subjects of Jews, Judaism, or Israel. These important examples may help to explain the puzzling contrast between the behavior of Jews in the aggregate and Jews as individuals. Observers have noticed that even fairly small Jewish minorities may often have a major impact upon the far larger societies that host them. But on the other hand, in my experience at least, a large majority of individual Jews do not seem all that different in their personalities or behavior than their non-Jewish counterparts. So how does a community whose individual mean is not so unusual generate what seems to be such a striking difference in collective behavior? I think the answer may involve the existence of information choke-points, and the ability of relatively small numbers of particularly zealous and agitated Jews in influencing and controlling these. Now suppose that a relatively small number of zealous Jewish partisans are known to always attack and denounce journalists or authors who accurately describe Jewish misbehavior. Over time, this ongoing campaign of intimidation may cause many important facts to be left on the cutting-room floor, or even gradually expel from mainstream respectability those writers who refuse to conform to such pressures. Meanwhile, similar small numbers of Jewish partisans frequently exaggerate the misdeeds committed against Jews, sometimes piling their exaggerations upon past exaggerations already produced by a previous round of such zealots. As a rough analogy, a small quantity of uranium is relatively inert and harmless, and entirely so if distributed within low-density ore. But if a significant quantity of weapons-grade uranium is sufficiently compressed, then the neutrons released by fissioning atoms will quickly cause additional atoms to undergo fission, with the ultimate result of that critical chain-reaction being a nuclear explosion. In similar fashion, even a highly agitated Jew may have no negative impact, but if the collection of such agitated Jews becomes too numerous and clusters together too closely, they may work each other into a terrible frenzy, perhaps with disastrous consequences both for themselves and for their larger society. This is especially true if those agitated Jews begin to dominate certain key nodes of top-level control, such as the central political or media organs of a society. A cohesive, organized group generally possesses huge advantages over a teeming mass of atomized individuals, just as a Macedonian Phalanx could easily defeat a vastly larger body of disorganized infantry. Many years ago, on some website somewhere I came across a very insightful comment regarding the obvious connection between “anti-Semitism” and “racism,” which our mainstream media organs identify as two of the world’s greatest evils. Under this analysis, “anti-Semitism” represents the tendency to criticize or resist Jewish social cohesion, while “racism” represents the attempt of white Gentiles to maintain a similar social cohesion of their own. To the extent that the ideological emanations from our centralized media organs serve to strengthen and protect Jewish cohesion while attacking and dissolving any similar cohesion on the part of their Gentile counterparts, the former will obviously gain enormous advantages in resource-competition against the latter. Religion obviously constitutes an important unifying factor in human social groups and we cannot ignore the role of Judaism in this regard. Traditional Jewish religious doctrine seems to consider Jews as being in a state of permanent hostility with all non-Jews, and the use of dishonest propaganda is an almost inevitable aspect of such conflict. Furthermore, since Jews have invariably been a small political minority, maintaining such controversial tenets required the employment of a massive framework of subterfuge and dissimulation in order to conceal their nature from the larger society surrounding them. It has often been said that truth is the first casualty in war, and surely the cultural influences of over a thousand years of such intense religious hostility may continue to quietly influence the thinking of many modern Jews, even those who have largely abandoned their religious beliefs.